Today we present the jury of the Biodiversity Photography Contest. The 2018 edition of this contest is open until June 30, 2018. This year’s edition features news, from the moment the acceptance of photographs from all over the world. We recommend reading the regulation before submitting your images. Let’s go meet the three jurors. 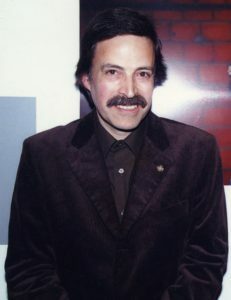 Duarte Carvalho is the founder of the Photography Section of the Regional Cultural Centre of Vila Real and also presenter of the Sound and Image Museum of Vila Real. Is has been lead advisor on photography courses at the European Social Fund. Has a photographic collaboration with several entities: Regional Centre for Traditional Arts, National Centre of Culture, League of Portuguese Firefighters and the University of Trás-os-Montes and Alto Douro. Has elaborated many photographic pictures for the illustration of research works. He has directed more than one hundred collective expositions and 42 individual ones throughout his carrier. Has received various awards in photography contests counting 18 first places. Municipal Medal of Merit (2009) assigned by the city council of Vila Real based on his work dedicated to photography. Has published works on magazine Photo (France) in 1996, 2004, 2005 and 2008, and also an exposition at the Maeght Gallery in Paris on an Iberian Show of Photography. João Cosme is a professional nature photographer. 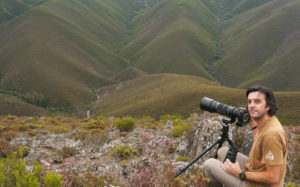 His pictures are published on national and international magazines like BBC Wildlife (England), GDT Magazine (Germany), Asferico Magazine (Italy), National Geographic Magazine – Portugal, Visão, Noticias Magazine, among others. He is an author and coauthor of several books and guides where stand out “Rios de Vida”, “Natureza Íntima” and “No Trilho do Lobo”. His work has been recognized internationally on several wild life and nature photography contests and has been awarded namely at the ASFERICO – International Nature Photography Competion-Italia, and GLANZLICHTER- Internationaler Naturfoto-Wettbewerb – Germany. Nowadays, João Cosme is a team member for the international project Naturephotoblog being often invited for international nature photography festivals to present his work. In Portugal is present is requested for conferences, lectures and congresses in order to publicize the natural patrimony. Is also responsible for Cinclus – Vouzela Festival of Nature Picture. 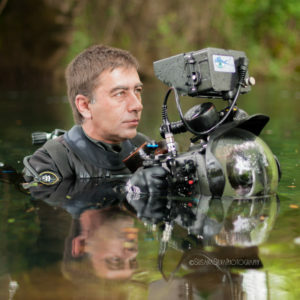 Rui Guerra has dedicated his photographer expertise to the capture of underwater image throughout the years starting on photography and afterwards on video, receiving various national and international awards, namely diverse titles on National and World Championships in the competitive strand. Organizer or jury on several photography competitions and contests and movie festivals, and also the National Selector of Photography and Underwater Video. Collaborates with many scientific research institutions and with movie and publicity producers, filming underwater in ultra-high definition using sophisticated equipment in the more diverse environments. Diving, photography and video instructor, Rui Guerra have captures images on the most extreme environments from the high sea to interior rivers and lakes, from the deep interior of the submerged caves to the icy waters under the ice.